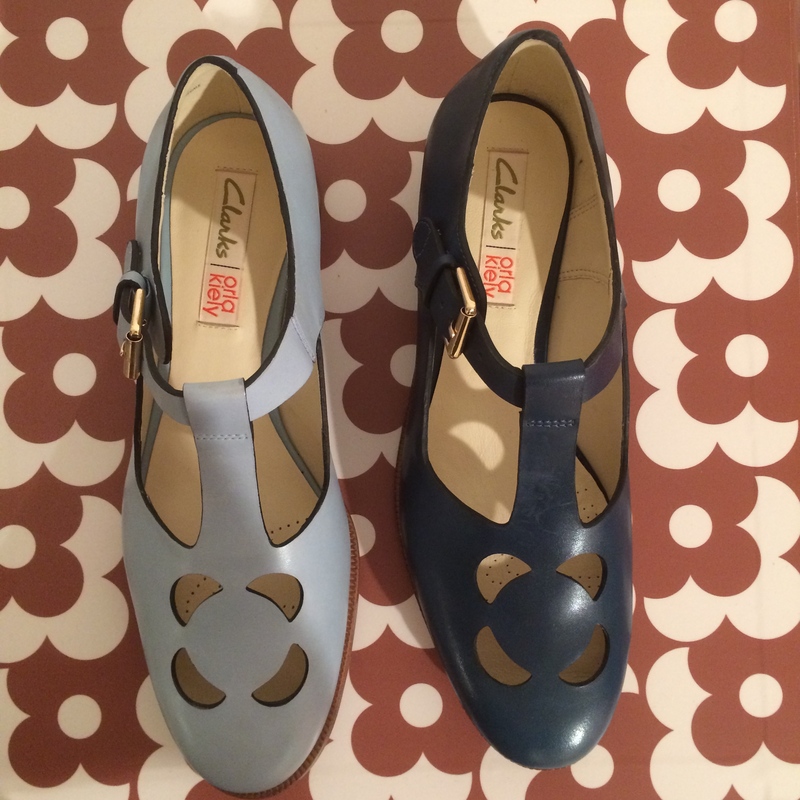 I know you lot love Clarks, so I thought you’d like a sneak peak at some of the styles on offer for next season (yes, we magazine people are harping on about summer ALREADY). 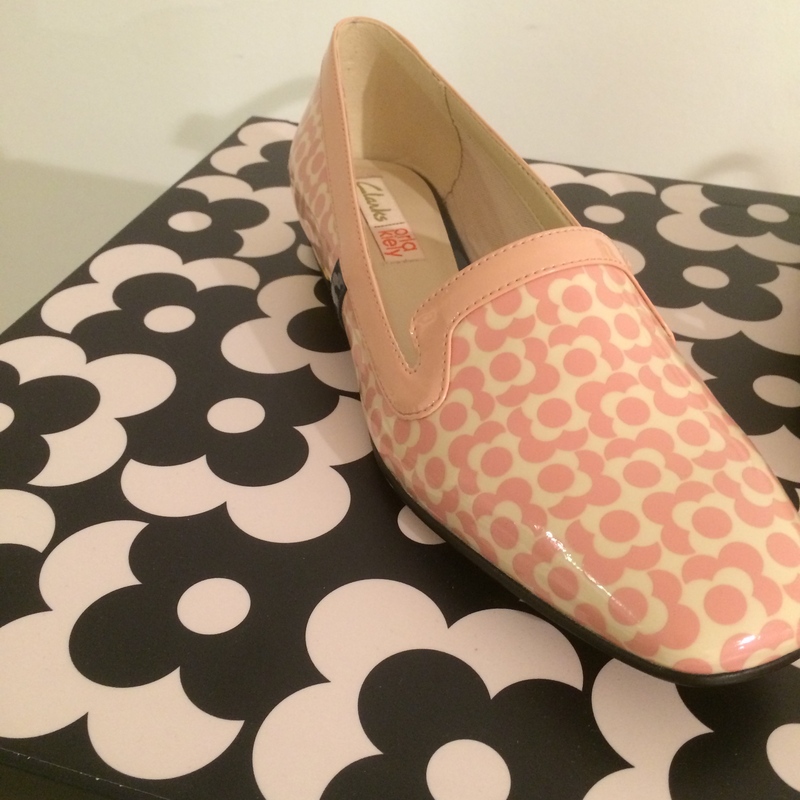 Clarks seems to be getting better and better each season, and although I always particularly look forward to the Originals and Orla Kiely collections, there are some lovely styles in the main line too. 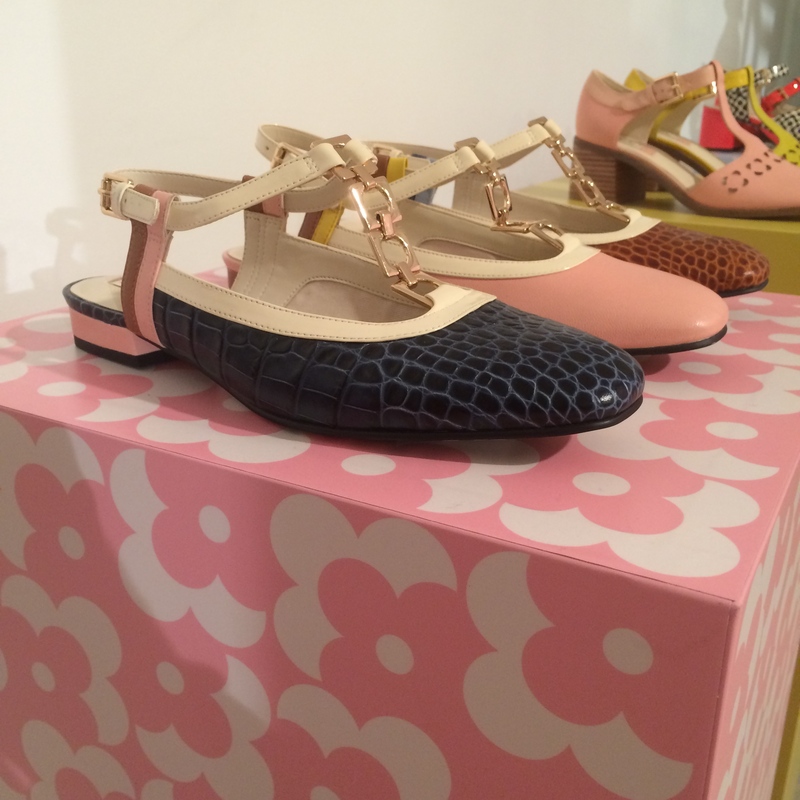 I really liked the Busby Folly range for AW14 (especially the bottle green patent ones) so I’m pleased to see the style carried through for another season. 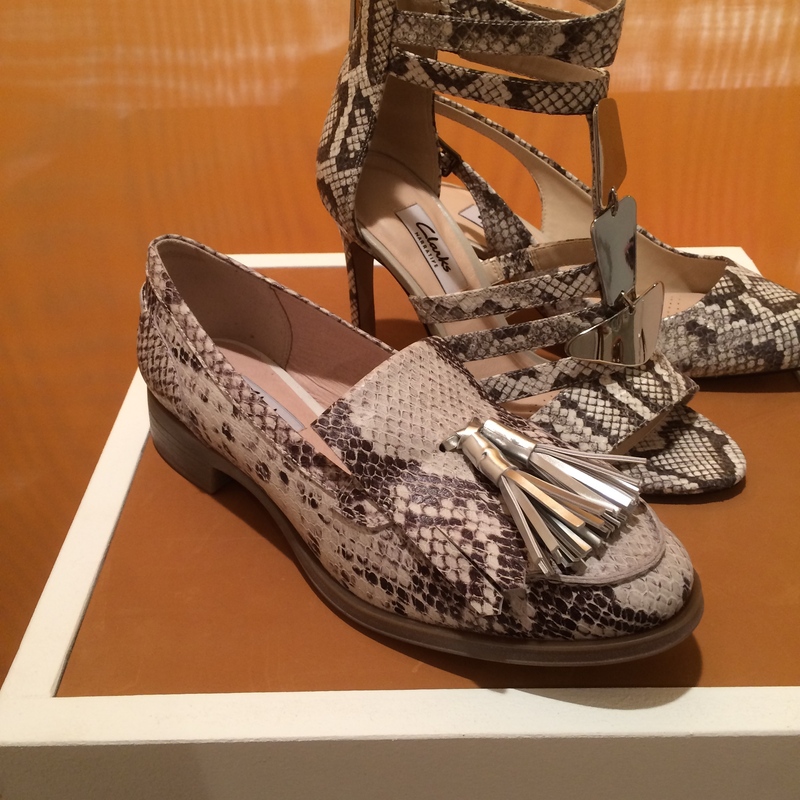 They’ve gone a bit snazzier in rose gold and snake print, and are all the better for it. 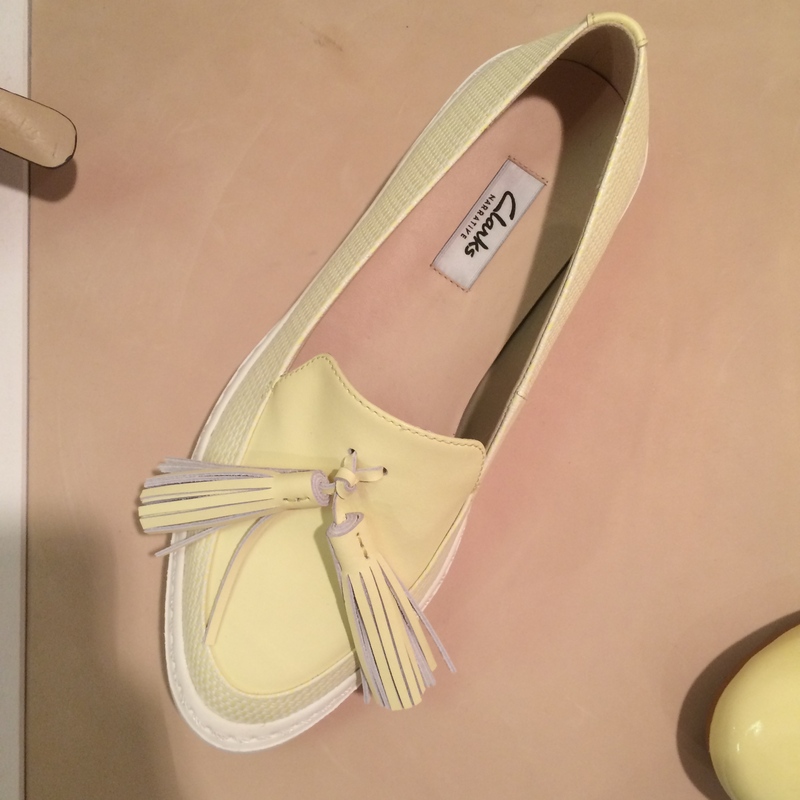 I also really loved these loafer-sneaker hybrids in lemon yellow. Sadly it’s the only colour they come in but if you’re only going to do one colour, make it yellow I say! 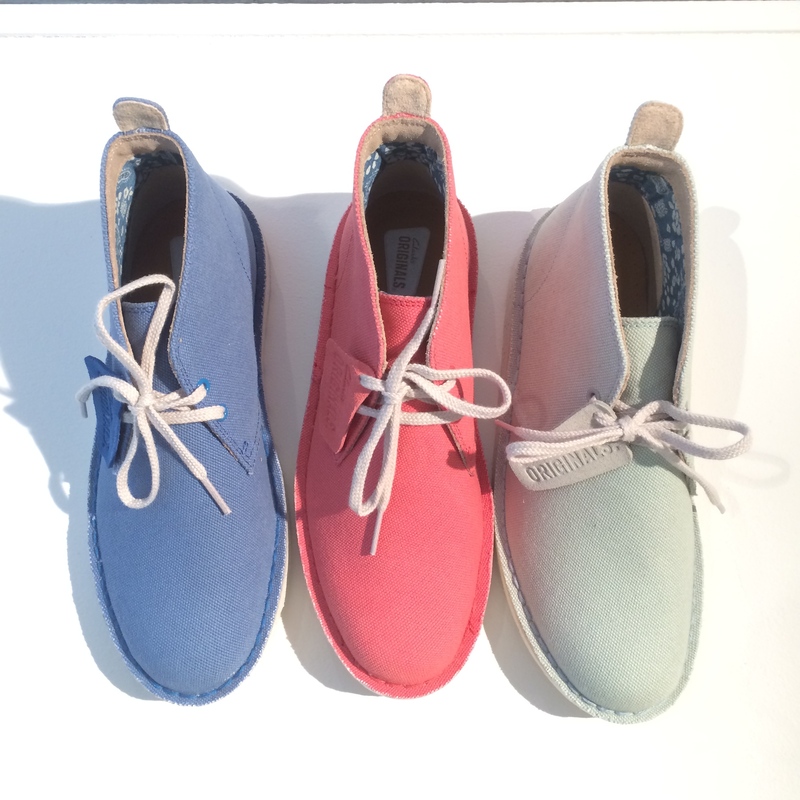 The classic desert boot comes in chalky pastel colours for next season, and I was also delighted to see these floral Wallabees in small sizes. YAY! Let’s hope that goes all the way through into production – it’s annoying when we girls don’t get the chance to wear some of the styles in the Originals range. I’ve been dying to get my hands on a pair of Wallabees since watching Breaking Bad but haven’t been able to track down any size 4s. Unless they have a wedge heel, and I’m OBVIOUSLY not going there! 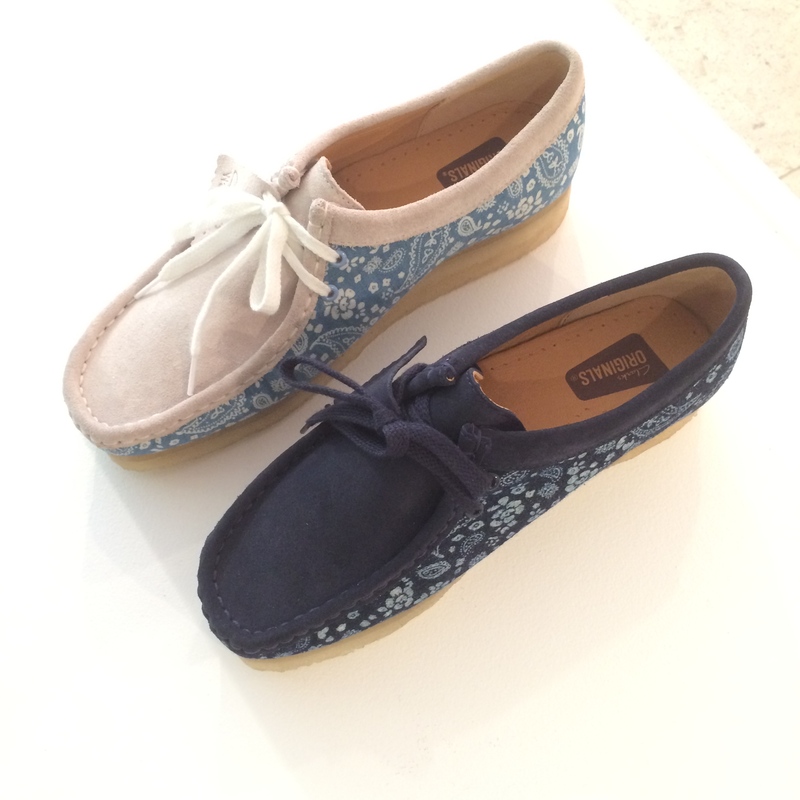 floral Wallabees – I’ll take take those in navy please! This is the bit you’ve all ben waiting for, I know. school uniform chic – love it! where can i get floral wallabees because i looked at clarks website didn’t have that item. 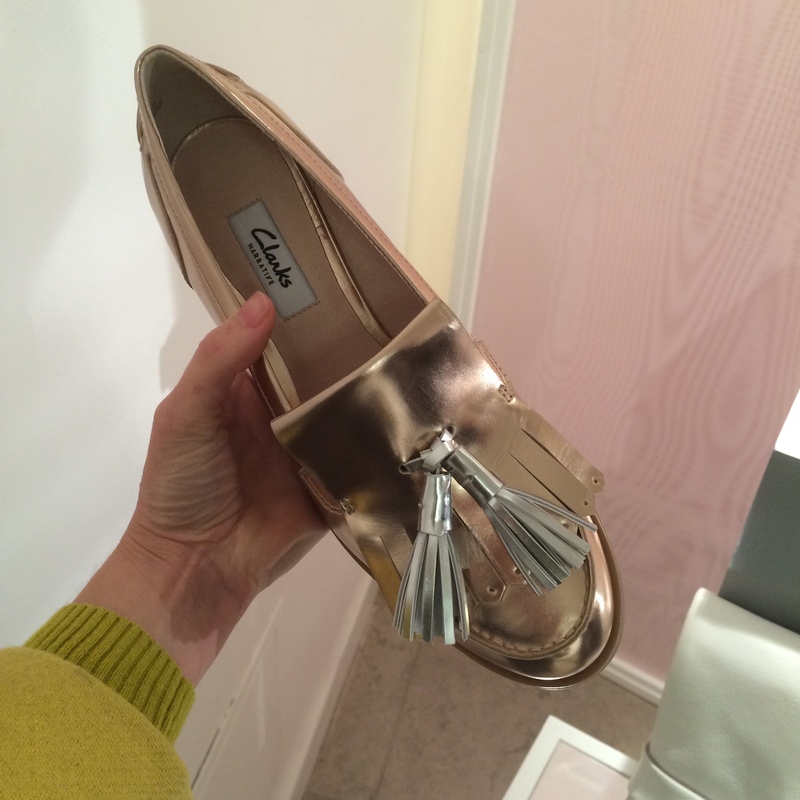 Hi Ayra – this is actually an old blog post and those shoes were from the summer 15 collection, so if you can’t find them I imagine they sold out. Maybe try the Clarks customer services number to be sure?